Man Discovers Secret Dungeon In His New House? 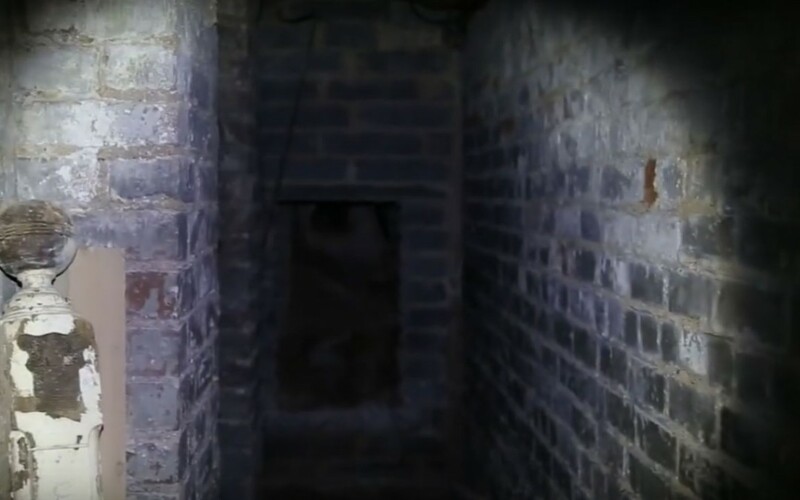 A man recorded this video to share a strange discovery he made in his new home. He mentions that the rent was extremely low, but he had no idea why it was. It seemed like a normal converted historic home at first, but he got more than was advertised. There is some kind of hatch on the wooden floor, which the man assumed was just for storage purposes. Looking closely at it,he realized it was not. It appears to be some kind of secret passage, with stairs leading down. So he grabs a torch and decides to explore. I would never have gone down the stairs, it’s just too chilling. He notices some wiring and modern trash, so people must have been down there quite recently. It’s like a network of small rooms and tunnels, which makes me wonder what it actually is. Is it just a basement, or just part of the buildings foundations? The man in the video decides it’s a secret dungeon. I’m not sure it’s a secret dungeon, it just looks like foundations used to renovate the house. He discovers a newspaper from 1984 among the rubble on the floor. It was probably left there by a builder. It’s hard to tell what it is, and either way, it’s pretty creepy. Especially considering he didn’t know it was going to be there. Why was he not told about it? Did the previous resident even know it was there? Who knows. You can decide for yourself what you think it was. There a dozens of videos on youtube of people discovering mysterious hidden rooms and passages in their houses, or on their property. In fact, this same youtuber has several videos of weird discoveries he’s made. It’s a mad world out there. Send me a message if you make an interesting discovery; it might make a good article.